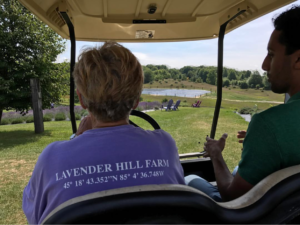 Guided Golf Cart tours are available at Lavender Hill Farm. 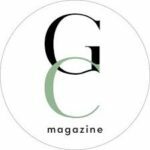 Our entertaining and knowledgeable guides will take you through the lavender hills and tell you all about lavender, its uses, and answer questions. Our tours are $5 per person and usually last about 20 minutes. 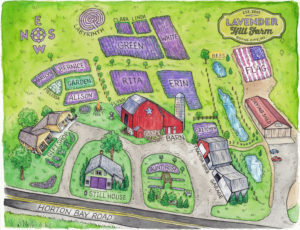 For large groups, tour bus visits, or class trips please email us at events@lavenderhillfarm.com. We will be happy to schedule your visit and can set up crafts, lunches or specific lessons for your visit. Self-guided walking tours are free and relaxing. 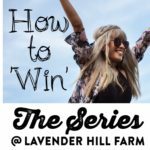 Wander through a wonderland of lavender at Lavender Hill Farm in Northern Michigan! Lavender Hill Farm gives visitors of all ages the unique opportunity to relax, explore and indulge. With more than 23 varieties of lavender on 33 acres, our farm offers a remarkable “hands-on” experience for everyone. Stroll our structured lavender labyrinth, hand cut your own bouquets and watch our bees at work. Be surrounded by the scents and scenery of acres of lavender. Cool off on a hot day with our local hand-crafted ice cream. Swing on our swings, sip some lavender soda in a chair overlooking the fields. Let our chocolate truffles melt in your mouth. Smooth scented hand lotion on after picking your own lavender. Or just sit back and relax in the shade, surrounded by a fragrance like none other. Watch lavender plants being distilled into oil in our Still House and stop by our Drying Shed to see the lavender gently swaying in the breeze as it hangs from long ropes. Visit our newly redesigned gift shop with decorative and therapeutic locally hand-crafted lavender products including sachets, beauty products, and more — all designed to bring the luxury of lavender to you, your home and your family. 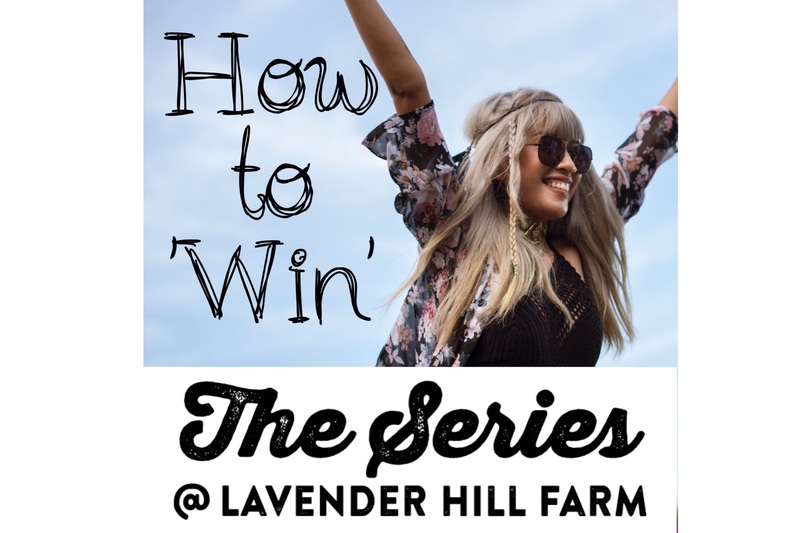 At Lavender Hill Farm, we have created a classic, seven circuit labyrinth out of our lavender plants, giving visitors the perfect space to reflect and recharge amidst the sweet scents and natural beauty of lavender. Approach the stone piles and enter the pathway at your own pace, walking quietly and in respect of those who have entered before you. Walk until you reach the center. Pause. Retrace your steps to exit. There may be others walking in the opposite direction. On your journey you may step aside to allow others to pass. You may choose to reflect on a phrase such as: “all things are possible…” or, “Be still and know….” Peace be with you. 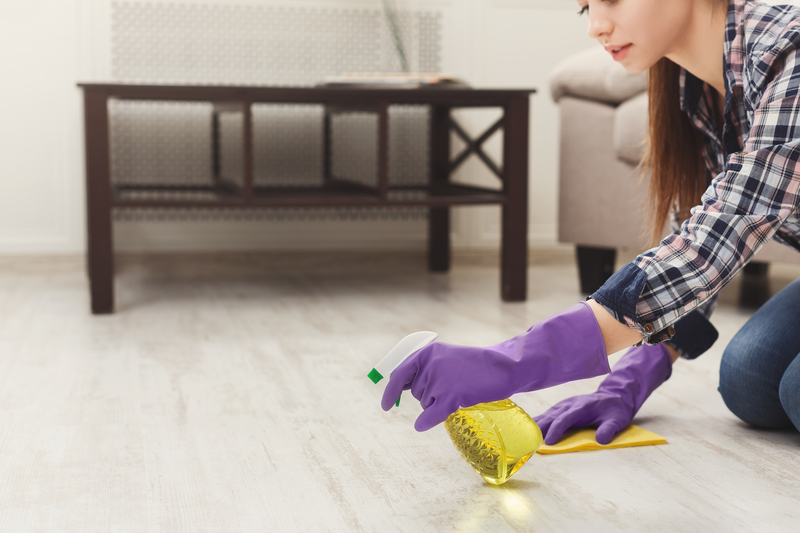 For the comfort and safety of our guests, employees and plants, we ask that you leave your pets at home. With the exception of service animals, dogs are not permitted on our farm. We hope you have a wonderful visit and apologize for any inconvenience this may cause.